Great scans, I love those few Black Rider stories that Jack did. 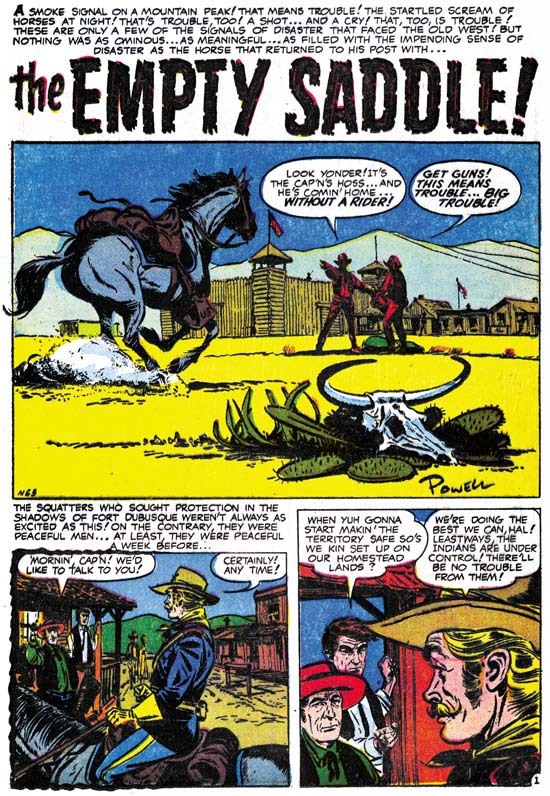 That short lived format that feature the circular panels, and characters leaping outside the borders is an interesting phenomenon. 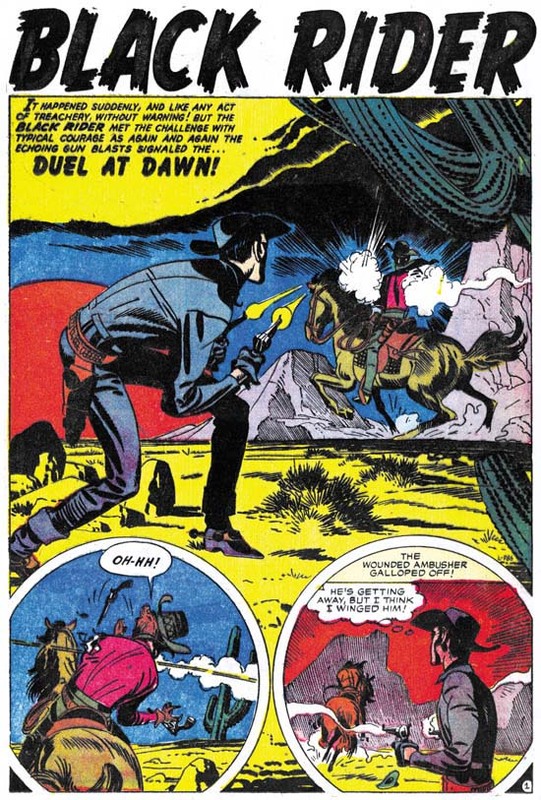 As you mentioned it was used on the first couple Challs books (Showcase 6&7) But it was also used on the earliest DC fantasy stories, as well as the Atlas Yellow Claw stories in issues #3&4. (not #2) These were all cover dated between Feb.1957, and April 1957. The Black Rider Rides Again one-shot was cover dated Sept. 1957, yet because it used the circular panels, I would bet that they were drawn the same time as the Yellow Claws, and Challs, and inventoried and released later by Atlas, just before the Atlas Implosion, Goodman released a virtual plethora of one-shot titles that were never followed up on. It seems that he was using up inventory that he might not be able to publish otherwise. Yes the Black Rider Rides Again may have been held up like you suggest but I do not think it was a one shoot. 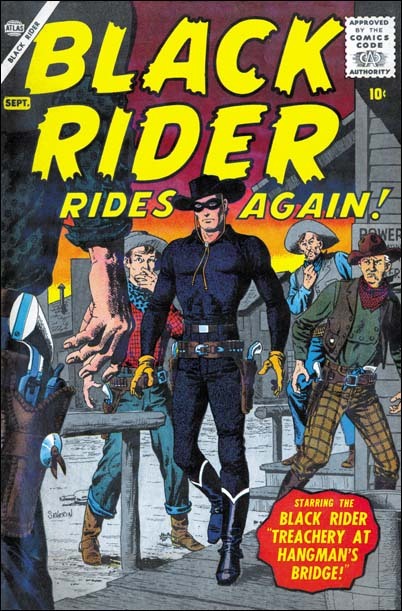 There were three Kirby Black Rider stories released after the Implosion that had pre-Implosion job numbers. Just enough to make a second issue. 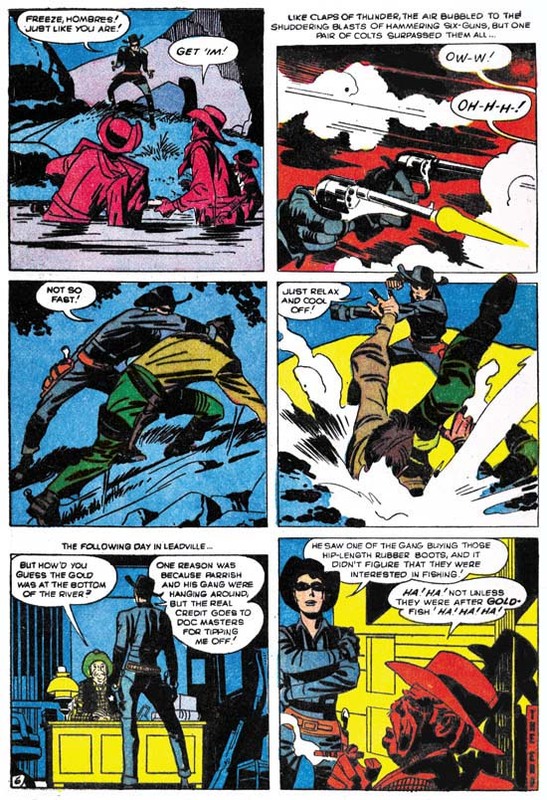 As for why the circular panels, I suspect Jack was just trying to make his work standout. He did some amazing inking on the Yellow Claw an effort that must have been costly for him. But like you said it really was old fashion and I do suspect DC wanted him to stop using it. I would not be surprised if something similar happened at Atlas. From what you said Jack used it for a limited time. 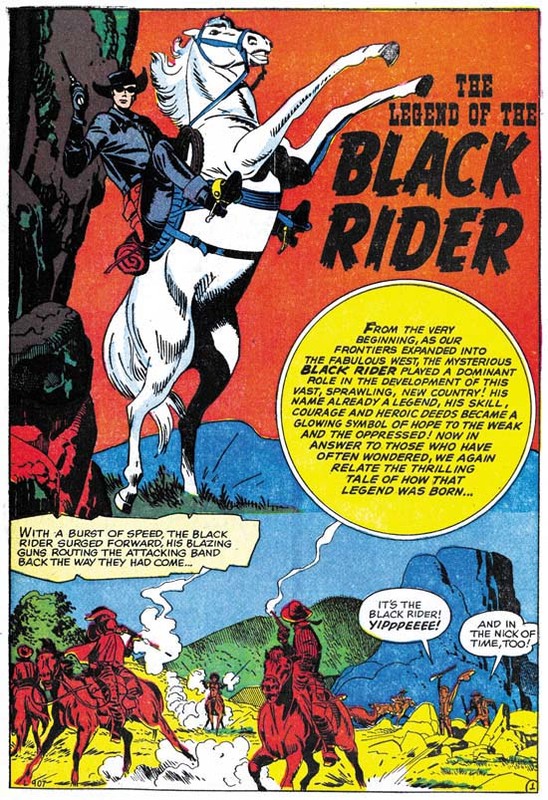 I agree with you guys, some very nice work by Kirby on the Black Rider. I would guess you’re correct about the circular panels being vetoed by DC (and Atlas) because it looked old fashioned, but I think it made for a more dynamic page, at least when Kirby did it! I agree that round panels, along with occassional figures extending beyond panel borders, do make for a more interesting page. That is when it is done with restraint as in Black Rider. 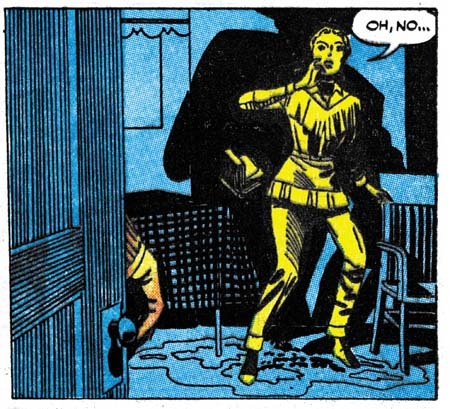 I have to admit I find the abundance of irregular panels in Captain America a bit too much and distracting.